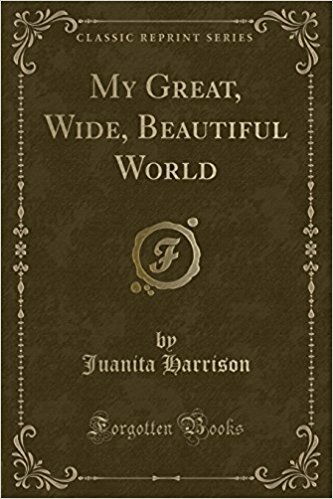 The Multicolored Diary: Where in the world is Juanita Harrison? 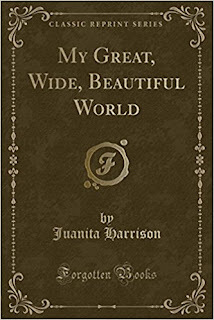 I love the way you highlighted Juanita Harrison's travel journal. I agree, her attitude sounds wonderful. Maybe someday I'll make time to find out what happened in Hawaii. Your post is really nice, highlighting all the special qualities of her travels and her book. In 1940 she went to Latin America (embarking in Brazil), where she remained for at least 10 years, including 7 in Buenos Aires. She is buried in Honolulu, where she died in 1967, aged 79. She often took four years off her age. The cover of the first edition of her book includes a collage of photos of her, dressed up in various costumes (veil, head-dress, bathing suit). Goodreads shows a thumbnail portrait of that cover in "other editions." I am soon to publish a book that gives more biographical information about her, and I also have chapters about her in my two previous books.